Hello, world, it’s May 12, 2017, and we’ve just ushered into the month of developer conferences. Every year, major tech companies conduct their annual conferences to showcase what they’ve been cooking up since the past year and each year they manage to knock the socks off of our feet. This week’s tech news covers all of the great things that Microsoft announced at their annual Build conference, so without further delay let’s get started with the Weekly Tech News: Build 2017 Edition. This roundup covers all major Microsoft announcements which include announcement of the Windows 10 Fall Creators Update, Microsoft’s new Design System, Story Remix, new VR Motion Controllers, Universal Cloud Clipboard, Visual Studio coming to macOS, Microsoft’s vision to make Android and iOS better and iTunes coming to the Windows Store. Windows 10 is Microsoft’s best and most feature rich operating system so far. Since it’s inception, it has already received two major updates, namely the Anniversary Update and the Creators Update which is currently rolling out to devices. The company hasn’t slowed down though as this week at Build 2017, Microsoft announced the next major update Windows 10, called the Fall Creators Update. The Fall Creators Update is set for arrival this September and will include a host of new features. Let’s go through them one by one. This release of Windows 10 is geared towards facilitating a cross-device experience that enriches people’s lives. The Fall Creators Update will include things like Timeline, which is a new version of the Task Switcher that will contain all the things you’ve been working on. Powering the timeline is what Microsoft is calling the Microsoft Graph. Microsoft Graph is live data about you and your apps that are dynamically moving across devices and scenarios to provide the best cross-device experience possible. The Timeline is one such thing that’s been powered by Microsoft’s Graph the entire Windows 10 experience is about to change with the data flowing through the Graph. This means that despite you owning multiple devices you’ll be able to seamlessly move from device to device without the added hassle of migrating your work. Another great feature that’s coming with Windows 10 Fall Creators Update is OneDrive Files On-Demand. With this new feature, OneDrive will be able to pick out data from the cloud when it’s needed without having to sync full files and folders. OneDrive Files On-Demand will only download files when you need them. Microsoft is implementing new status icons in File Explorer that show if files are available locally or if they’ll need to be downloaded from the cloud. If you’ve opened a file recently online then it will be synced and available offline, but otherwise you’ll still need to select entire folders for syncing offline or individual files. Any files you open will be automatically synced offline until you run out of disk space. This on-demand nature of syncing should decrease the amount of space required for these files, provided you’re mostly always using your device online. Instead of syncing entire files, you can simply pull them individually when required. If you follow technology news closely, you may have heard the term Project Neon floating around quite a bit. It was essentially a complete redesign of Microsoft’s Windows 10 interface. Well, design enthusiasts can rejoice as Microsoft just made it official and it’s called Fluent Design System. If you ever used Windows 7 you may be familiar with Aero, the theme that made use of frost glass like material across the entire system. It was a breath of fresh air and a huge departure from the plastic look that Windows had. Sadly enough, Aero was replaced by Metro, the design language that was adopted by Window 8 and carried over to Windows 10 in some ways. Metro was great but it only served the users with devices featuring touch input. Now, with the fluent design system, Microsoft is taking a bold new approach towards creating new experiences on Windows. Fluent Design System focuses on 5 key elements, namely light, depth, motion, material and scale. Light is used across the system to guide focus. Depth is used to create a depth of field in 2D interfaces. Motion is used to contextually direct users attention. Materials are what the UI elements are going to be made of in Windows and finally, Scale is what’s going to be used to create experiences in mixed reality. We’ve all grown used to designing apps and experiences for the 2D world but with the advent of virtual reality and mixed reality, it was high time our design language and methodology changed. Fluent Design System geared towards that very goal. Pictures and videos are how we relive memories. Even better if there exists a handy little tool to add a touch of love to those memories. Remember Windows Movie Maker? Those were the good old days of Windows XP. Microsoft is trying to change the way we tell stories, and create them. Introducing Story Remix. Story Remix is Microsoft’s new way of recreating stories. It’s a Universal Windows App that will ship with the Fall Creators Update. 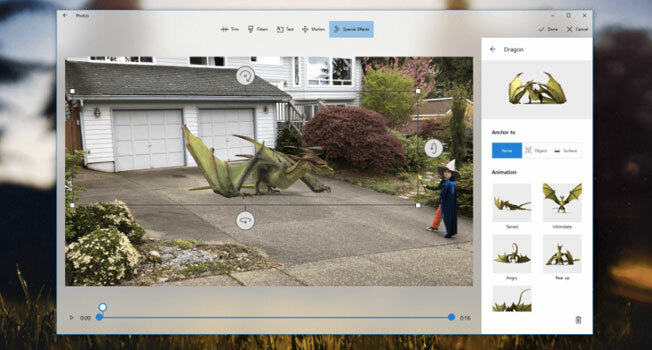 Story Remix takes your media — photos, and video from your smartphone, for example — and turns them into “instant video stories.” Microsoft says Story Remix can produce a video that feels professional with just minutes of work. You can be as hands-on as you want (advanced 3D features are supported), or let the app do almost everything to make memorable content out of the memories that you feed into it. Microsoft has pioneered Augmented Reality and holographic computing with the Hololens. They also partnered with multiple OEMs to create mixed reality headsets. To accompany these headsets, Microsoft is releasing the VR motion controllers, designed to help users navigate the 3D space. The controllers, which have numerous LEDs running around them, will be fully tracked by sensors in the headset itself rather than relying on external cameras or other equipment. They’ll ship this holiday season, with Acer packaging them into a $399 bundle that includes its own mixed reality headset. Productivity hasn’t been the most strong suit of Windows. It’s why people tied to Apple’s ecosystem tend to stay instead of switching. The ability of flow from device to device and context to context is what lures users in. But Microsoft hasn’t been chilling out about it. The company is focusing heavily on productivity. This is why they’re bringing a cloud-connected clipboard to Windows 10 with the Fall Creators Update. 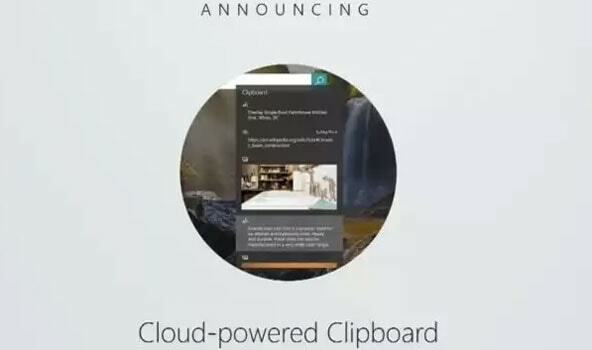 The clipboard will work across devices and will allow you to copy on one device and paste it on other. The company is also creating special UI for Office apps to harness this feature. In fact, it’s going to be so good that users on Android will be able to copy on Windows and paste within Android via SwiftKey. If you are living inside Microsoft’s ecosystem and are a developer, the go-to way for you to write software is Visual Studio. And Microsoft hadn’t been gracious enough to think about developers who prefer a Mac instead. But due to a recent change in their vision the company is focusing on making a cross-device experience great instead of just trying to push forth their own platform. 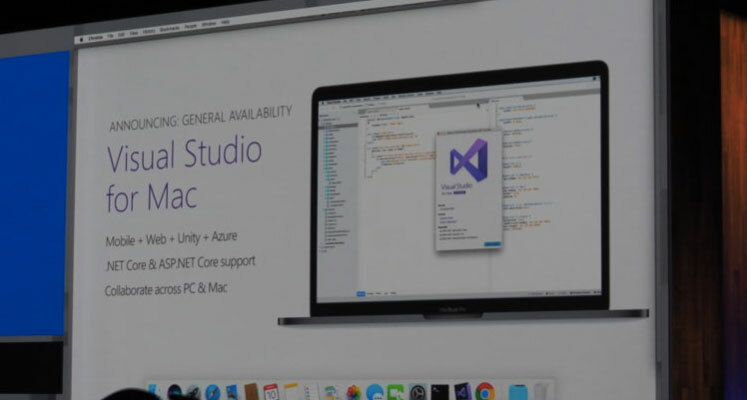 In light of the same vision, Microsoft is bringing their popular Visual Studio IDE over to macOS. Microsoft continues its campaign to become a company that supports developers no matter what platform they’re using. It’s probably the biggest step the company has taken to that effect since it added a friggin Linux terminal to Windows last year. That cross-platform compatibility is going to be increasingly important for Microsoft as it tries to push Windows 10 S into the limelight. Given Windows 10 S can only install software from the Microsoft Store, the company needs to prove that it can actually attract developers – particularly Android and iOS developers – to the Universal Windows Platform. If there’s one thing that’s obvious about Apple, it’s the fact that they are arch rivals of Microsoft and their products since the very beginning. 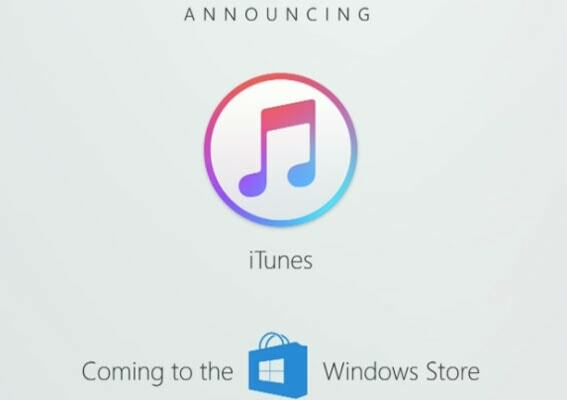 But this week we saw some strange announcement coming from Cupertino when Microsoft confirmed that iTunes will be coming to the Windows Store. Not that iTunes doesn’t already exist on Windows, but it exists a desktop app and Microsoft is constantly trying to push the Universal Windows Platform. The new iTunes will function exactly like the existing version and will come with full support for Apple Music and iOS devices like expected. Microsoft wants that windows app developer to takes app on universal windows platform. 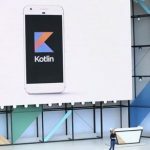 Microsoft is providing a platform to the developers that that will need only one source code for an app instead of multi codes for different windows devices.